Numerous people assume that there are only two possibilities success or failure. They don't realize "success and failure" are actually one and the same track. The only difference is the road to success is much longer. 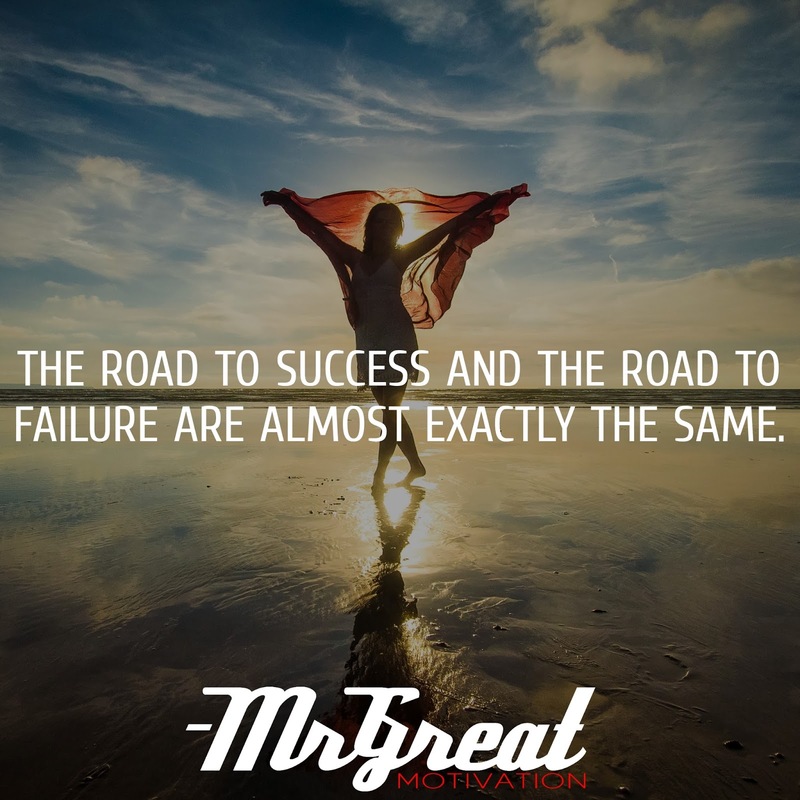 In fact, The Road to Success is paved with Failures. Great Motivation and Inspiration helps in a way to reach. It would have been easy to give up and believe that we would never be on the right track. The added benefit of failure is that we can learn from the failures and the sequence continues. It’s important for us to understand that our background facing and overcoming a difficulty is actually one of biggest assets. We are uniformly preoccupied with what others deem about us. For some inexplicable reason, we want everyone to think we’re successful and growing. We worry that if we abandon, we’ll be perceived as a good-for-nothing. But everyone fails in life. We can look at celebrities and famous personalities, did they become successful overnight? Failure forces us to grow. So every time we feel like we’ve hit rock bottom, learn that it doesn’t kill us, it makes us stronger. We need trust timing and have to trust the process. When we fail, it’s not because we didn’t try hard enough. It’s because the universe is telling that it’s just not the proper time.